Over the weekend Joshua and I had to take Izzie, Bella, and Tucker to the vet for their annual exams and shots. This was also our opportunity to talk to the vet about any questions or concerns we might have. One of the issues we’re still having is Tucker keeps getting into the litter box. Not only that, but according the vet we need three litter boxes total: one per cat plus one extra. It’s been a challenge trying to find a solution to store just two litter boxes, let alone three! I’ve constantly been on the lookout for solutions, whether it’s DIY/IKEA Hackers or an actually piece of furniture. 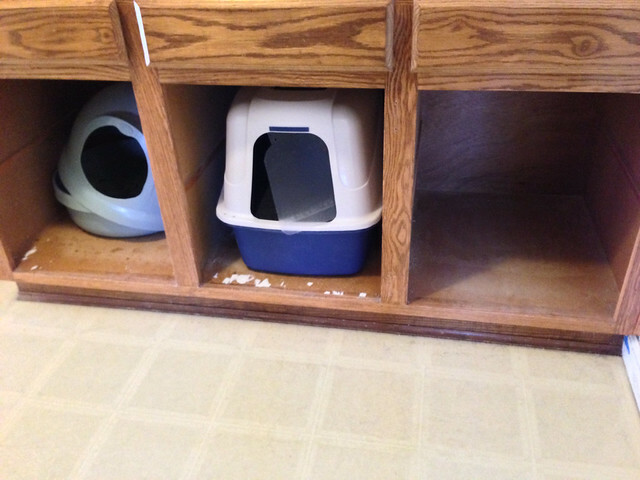 Unfortunately, most solutions I’ve seen are ideal for hiding one litter box, not multiple. We don’t really have any other areas that would allow us to add or hack another piece of furniture nor do we want to deal with excess litter in. Yes, I know you can buy litter mats, but my cats are pros at avoiding them. We’ve concluded that the best place for the litter boxes is the laundry room. We have three bottom cabinets that haven’t gotten much use since we moved in, so it seemed ideal to pop the doors off and place the litter boxes in here. Now that we had the placement down, we had to think about replacing the two boxes we had. The one little box we do have was from our old litter cabinet and is way too easy for Tucker to get into. The other has a flap that unfortunately doesn’t like to stay on and makes it accessible to Tucker. 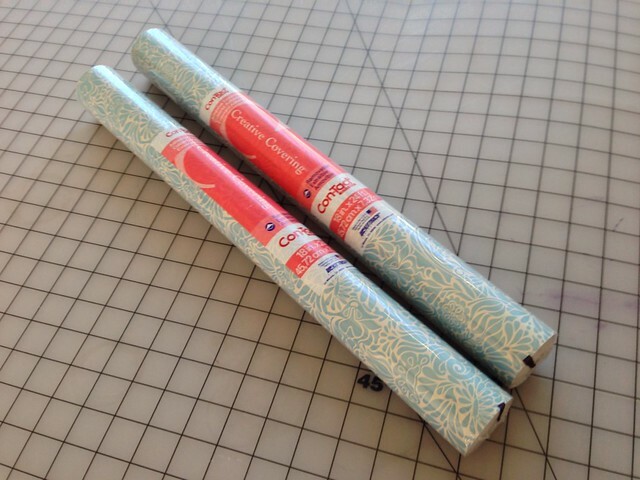 I headed to Target and picked up some pretty contact paper for the bottom of the cabinets and three Boots & Barkley Large Litter Pans. Thanks to the Cartwheel by Target app I was able to get 5% off each litter box. When I got home, I vacuumed out the cabinets to make sure I had a smooth surface. 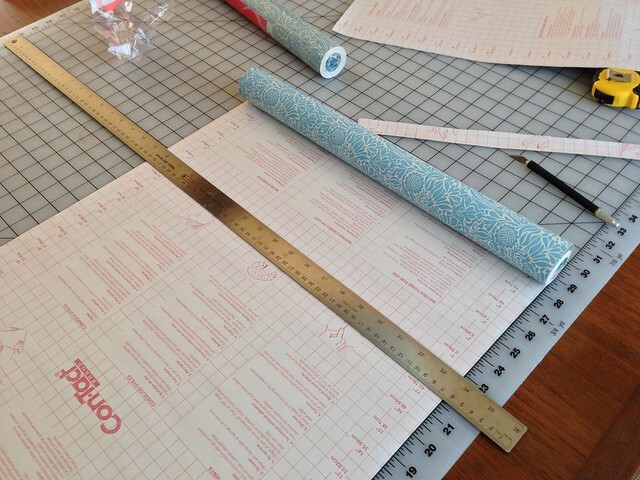 Then I set up my cutting mat, measured out the cabinets and cut up my sheets of contact paper. I ended up not using my second roll, so I can probably return it or use it for another project. After I placed the contact paper in the cabinets I set the litter boxes inside to make sure I was happy with the fit before adding fresh litter to each one. We thought about putting the doors back on and cutting little holes big enough for the cats to get through, but we’ll see if this alone will keep Tucker out. The cats already figured out how to use the new boxes because I found litter on the floor showing that they’ve already been used.